The ONLY line of USDA organic household cleaners and laundry detergents in the WORLD! I reviewed the lavender laundry detergent and it was wonderful! Very small amount is used, and it gives it a great wash. I am so excited to have found this company! Speaking of laundry, check out this new Laundry Station product! In this one package, there is 200oz of liquid laundry detergent, 200 dryer sheets, and a stain stick. 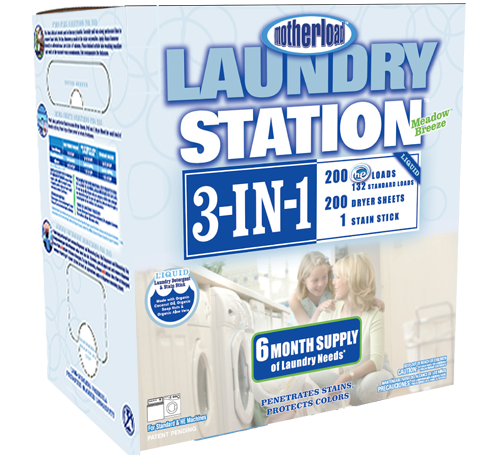 It can easily be carried to and from the laundry room or kept safely on the shelf. The detergent and stain stick are made from organic ingredients and 95% of this package is recyclable. Putting these three different pieces together in one package saves time, money, and the environment! That is so what my laundry room needs! With m y family size this would be just perfect! My local Lowe's carries it!! I received a product from greenology in exchange for an honest review. 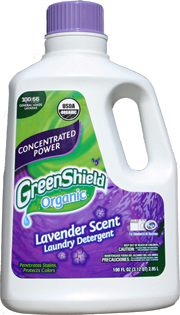 Want to win your own Lavender Laundry Detergent?